Recently, Ed Sheeran announced on Twitter that he is engaged to his childhood friend Cherry Seaborn. So, who is Cherry Seaborn, what does she do? and when did they know each other? 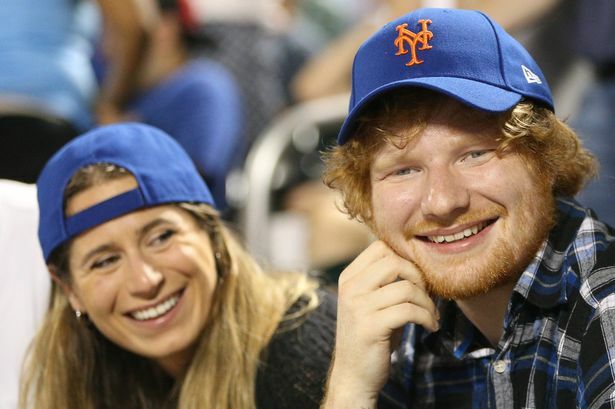 Here’s everything you need to know about her personal life and Ed Sheeran’s dream woman. 2 2.She is a professional hockey player. 3 3.She is not active on social media. 4 4.Ed-Sheeran and Cherry Seaborn are childhood friends. 5 5.They started their relationship in 2015. Cherry Seaborn was born on May 6, 1992 in Suffolk, United Kingdom to Matthew Seaborn and Ann Lancaster. She has a brother named Charlie Seaborn. Like Ed Sheeran, she attended Thomas Mills High School in Framlingham, Suffolk. She then moved to United States to continue her higher education. She attended Duke University in North Carolina. On Duke’s official website, Cherry said: Ever since I was in high school I’ve always wanted to study in United States, I looked into different schools that were good academically and also at hockey, and Duke was one that really jumped out at me”. 2.She is a professional hockey player. Cherry is a hockey player by profession. She had an interest in sports when her father inspired her to get involved in games like hockey, skiing and other sports. Her professional hockey career started in her late teen. In 2007 and 2008, she represented for England’s Under-18 National Team. During her peak time, she won British University Championship (2012, 2013). Cherry was also selected in 2011, 2012 and 2013 for England’s Under-21 hockey squad and she won a bronze medal and silver medal for European Championship and Volvo 4 Nations championship respectively. 3.She is not active on social media. Unlike, Ed Sheeran who shares spotlight around the world, Cherry may be shy and private in real life. Her fiancé has 18.9 million Instagram followers while she has normal 332 and her account is private too. 4.Ed-Sheeran and Cherry Seaborn are childhood friends. Cherry and Ed Sheeran met at Thomas Mills High School in Framlington where they both grew up. It was also found that Ed Sheeran had a crush on her. According to their mutual friend she told “There was always something there between them. Ed had a crush on Cherry at school, but she had a boyfriend then”. 5.They started their relationship in 2015. According to whosdatedwho, they started dating since 2015. Before that, Ed Sheeran was with singer Nina Nesbitt in 2012 and with Ellie Goulding one year later. The duo kept their relationship private and under the shadow before Taylor Swift opened about their relationship to the world sharing her best wishes to them on Instagram. Ed-Sheeran has now announced his engagement via Instagram saying: Got myself a fiancé just before new year. We are very happy and in love, and our cats are chuffed as well”.